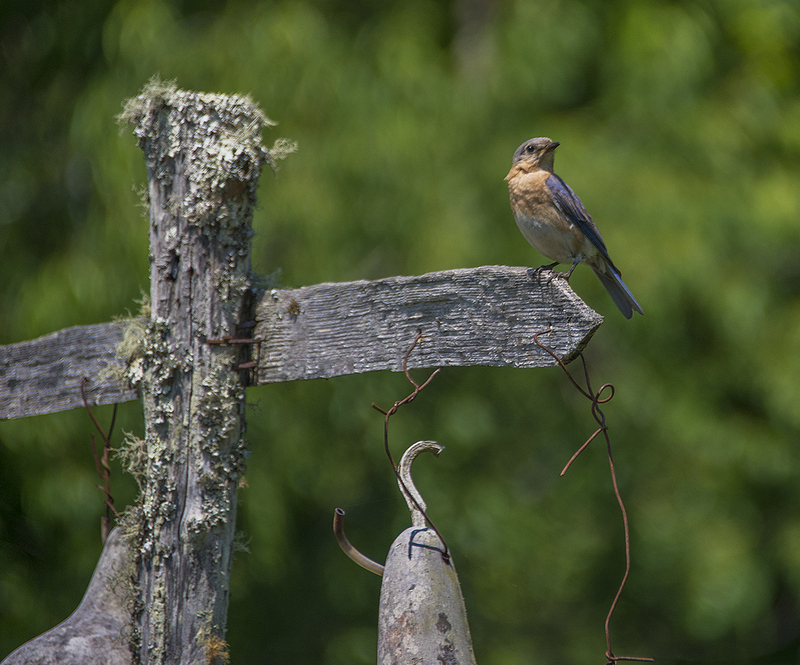 We were up and out early again today ………………… I’m so looking forward to a lie in tomorrow! Today was our last here in the National Park. 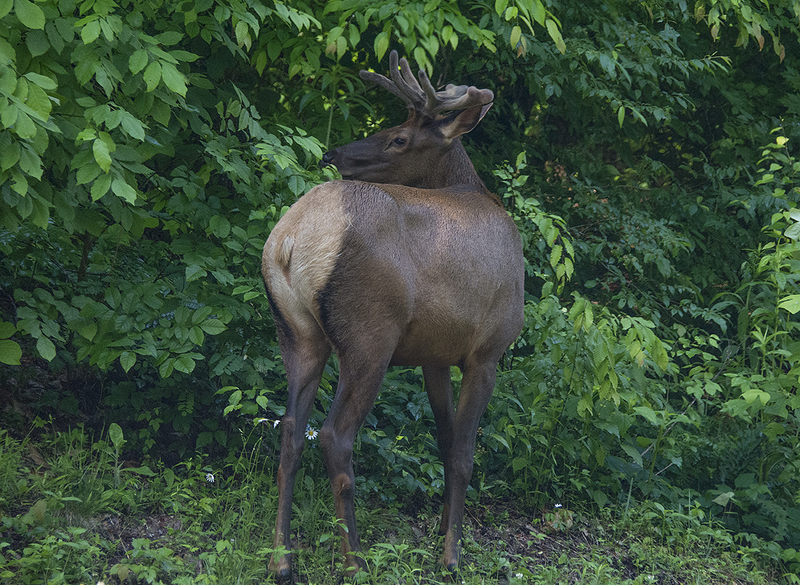 We were saying how we hadn’t seen any wildlife during our stay here, well today that all changed! 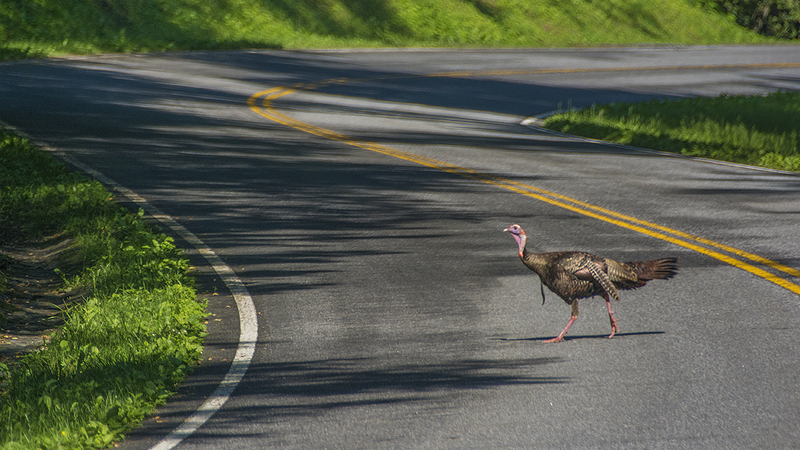 We’ve seen some wild turkeys, an elk and a groundhog, although we couldn’t get a photo of the groundhog. Driving through the Park today we saw this fog bank below us in the valleys. 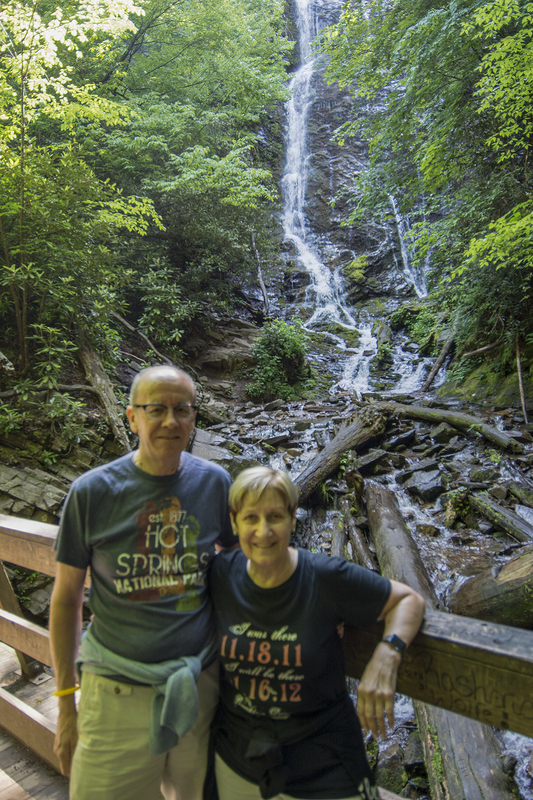 Our first port of call today was Mingo Falls on the Cherokee Indian Reservation (Qualla Boundary), just outside Great Smoky Mountains National Park. 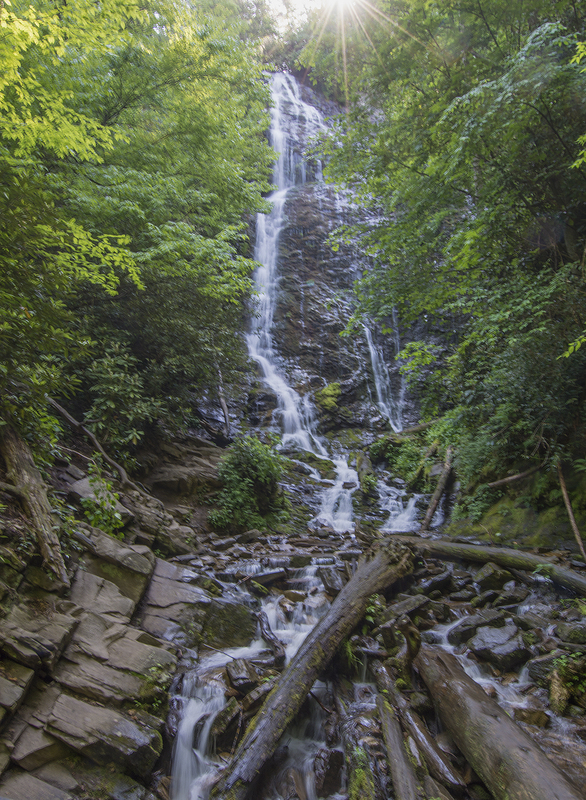 At 120 feet tall, the waterfall is one of the tallest and most spectacular in the southern Appalachians. 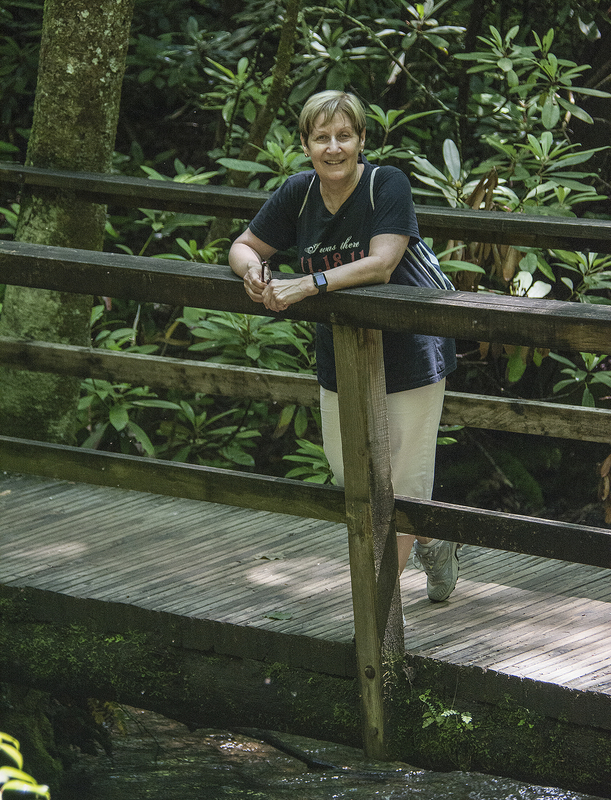 The hike to the waterfall is a round trip of only 0.4 miles in length, but is considered moderate in difficulty. 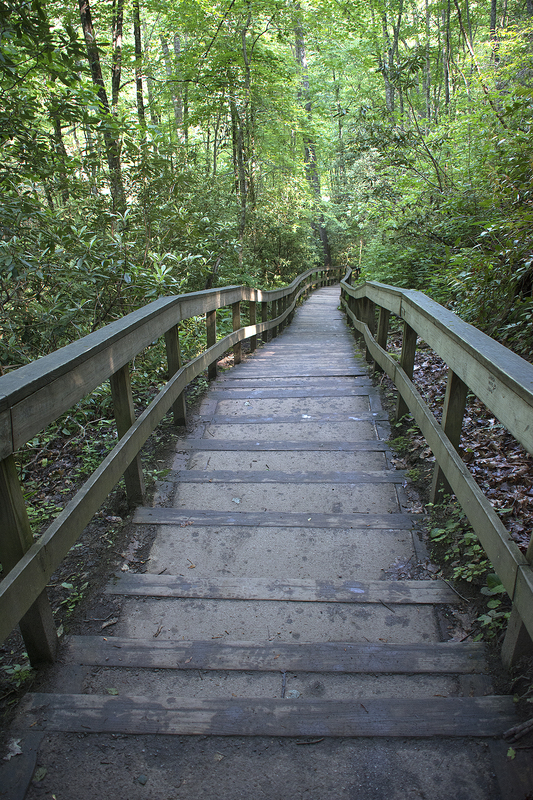 Unlike the hike to Rainbow Falls we did on Monday, someone had been thoughtful enough to lay 161 concrete steps for most of the way to the Falls so making it a much easier climb. These Falls were magnificent and more than made up for the disappointment with Rainbow Falls. Our next visit was to the Mountain Farm Museum. 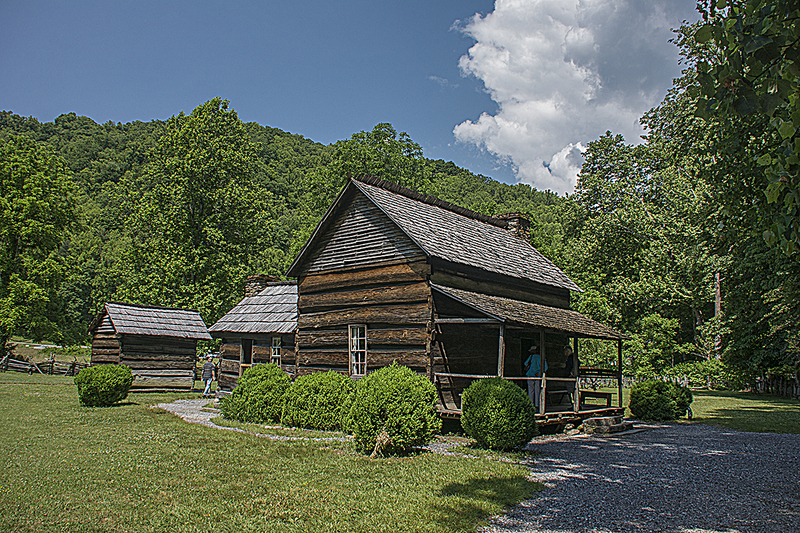 The Museum is a collection of historic log buildings gathered from throughout the Smoky Mountains and preserved on a single site. Buildings include a house, barn, applehouse, springhouse, and smokehouse. 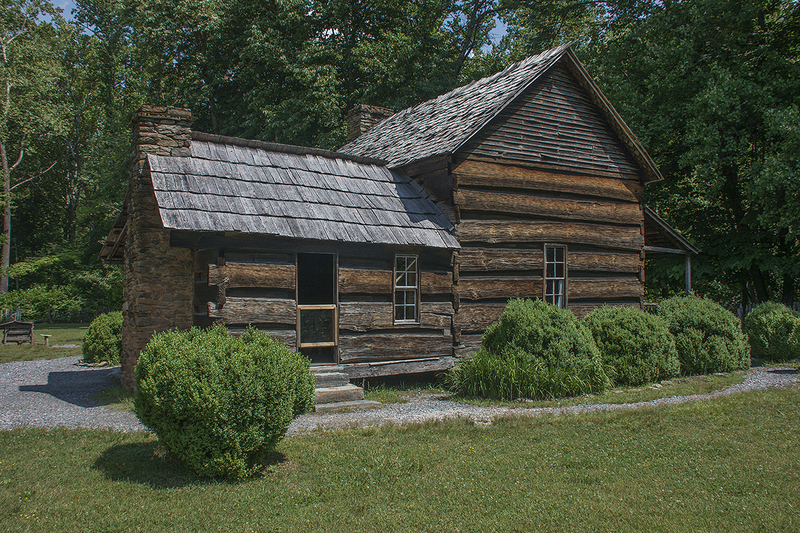 John E. Davis house at the Mountain Farm Museum – began in 1899 and took two years to build from chestnut trees. A family of nine eventually lived here! 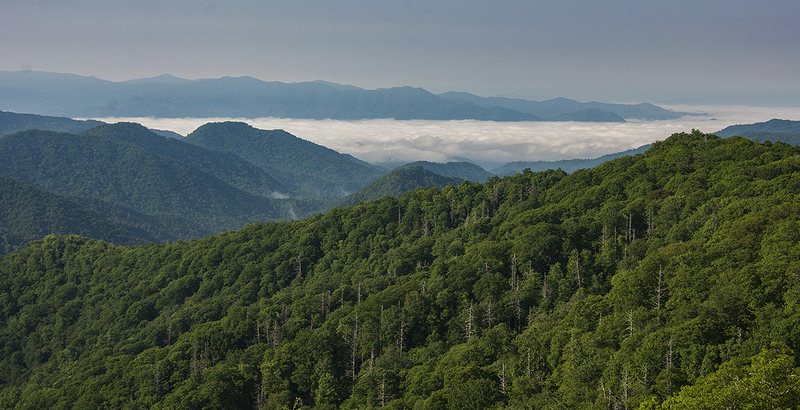 In the late 1920s, the states of North Carolina and Tennessee began buying the land that they would deed to the nation to become Great Smoky Mountains National Park. 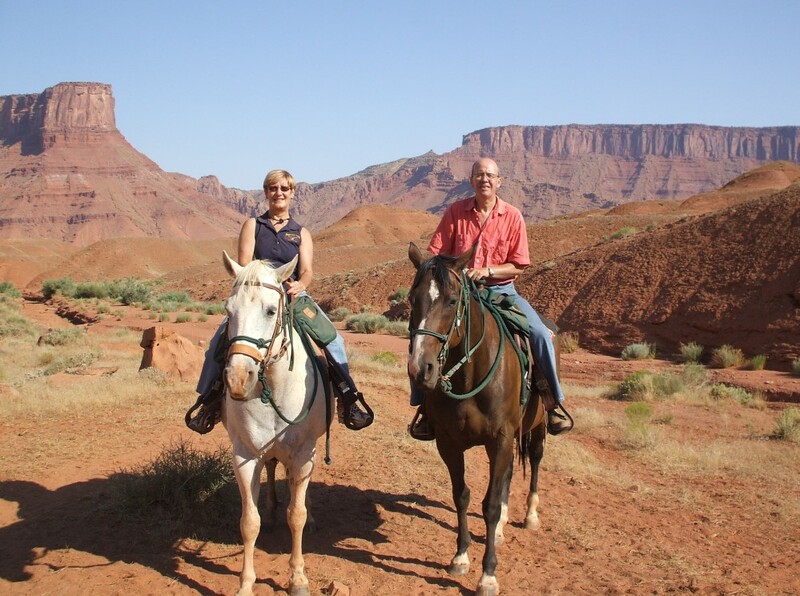 Although most of the land was owned by timber companies, more than 1,200 families also had to sell their land and homes for the creation of the new national park. 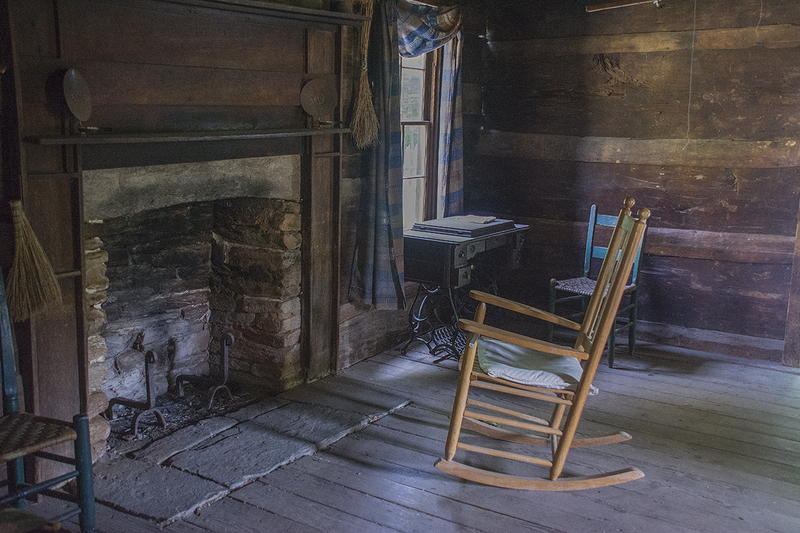 The Mountain Farm Museum is part of an effort to preserve some of the cultural heritage of the Smokies. 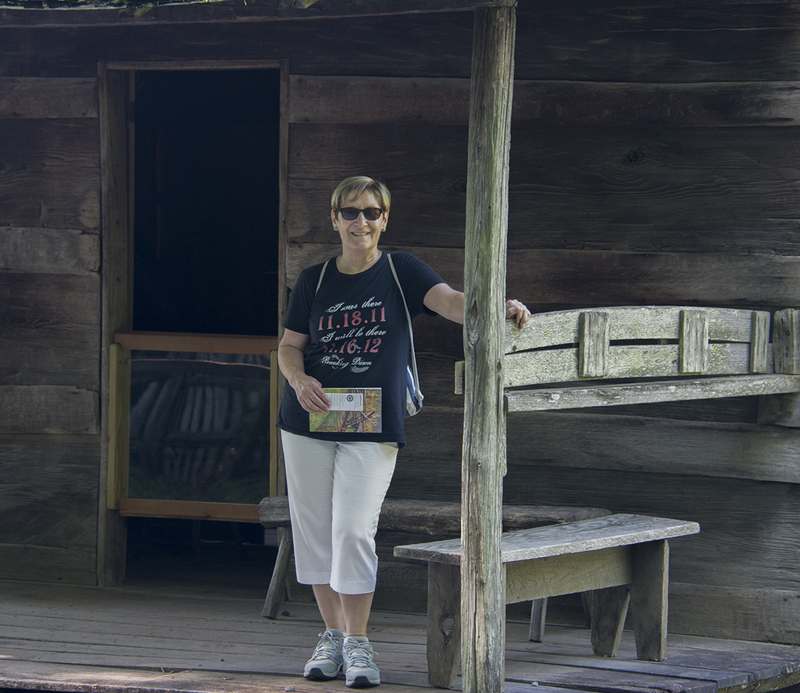 The buildings most dating from about 1900, were moved from their original locations throughout the Smokies to this site to create an open-air museum. 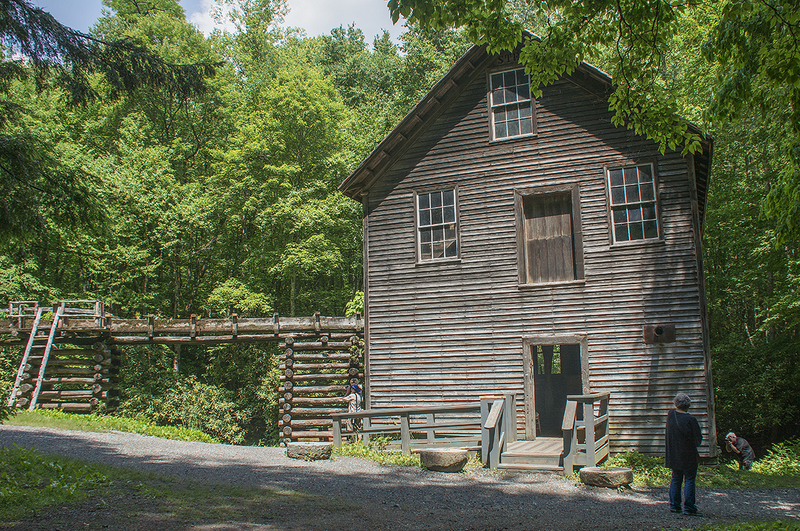 Our final visit today was to Mingus Mill. 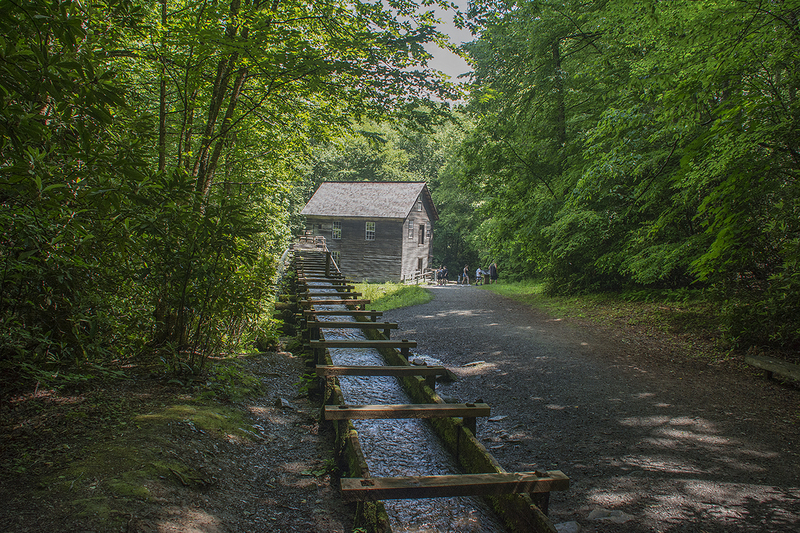 Built in 1886, this historic grist mill (grinds grain into flour) uses a water-powered turbine instead of a water wheel to power all of the machinery in the building. It still stands at its original site. 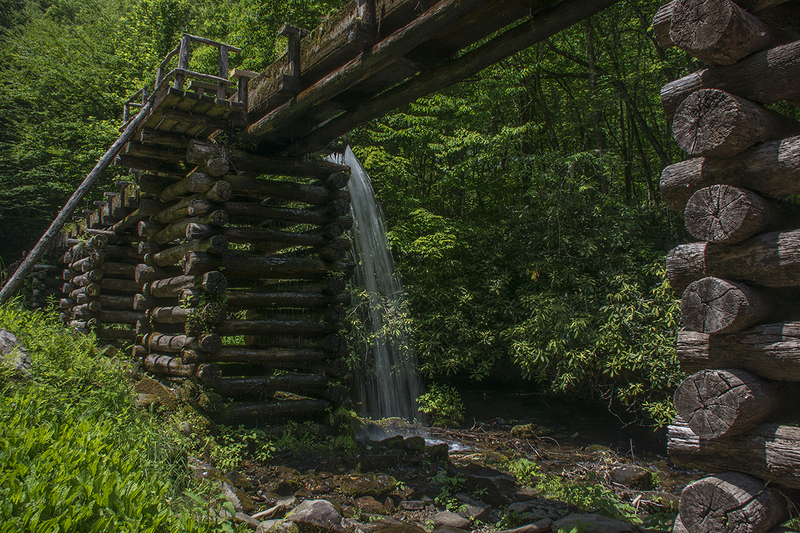 It was the largest in the Smokies and its wooden flume that carries the water to the Mill is 200 feet long. I’m afraid to say that we do not have any food photos tonight! I think everything’s catching up with us ………….. we actually forgot to take pics! For those who like to know these things, Si had fillet steak with ribs and I had filet steak. Everything was delicious. We went again to the Texas Roadhouse. 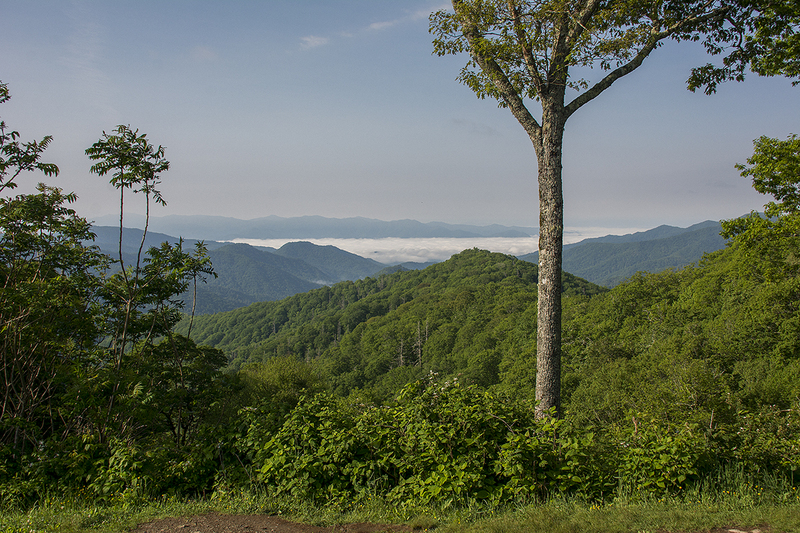 Thanks for travelling with us through the Smokies, see you tomorrow in Charleston. Another cracking day. 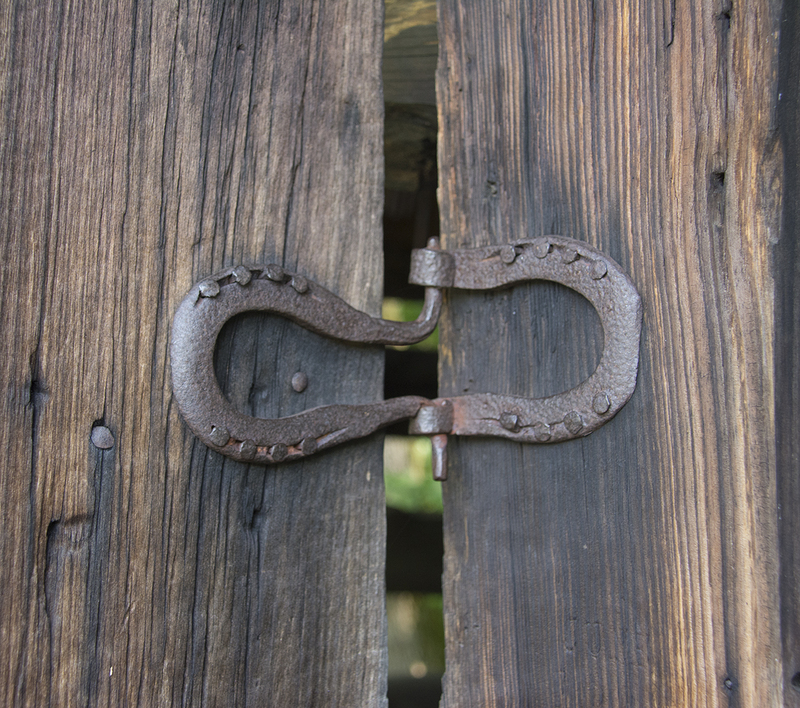 I like the horseshoe hinge very inventive. High Perry, thanks, that’s strange because even though you weren’t logged in your message came through twice but as Anonymous! It’s funny but we are the same about restaurants and food in a foreign place. If you’ve found one you like, why risk anywhere else? 🍰🍧🍡🍦🍷🍷 In Venice we were only there for 6 days but had lunch and two dinners in the same restaurant. Anyway despite the lack of food pics, some cracking shots which makes America almost look like it has a history! Well obviously it does but not a history as we know it Jim. Bring on Charelston and travel safe. Thanks Malcolm. I agree, it’s nice to try new places but there are times when only the old ones will do.